This underground room has now been transformed and home to over 1000 bottles of wine thanks to some brand-new racking from Wineware! 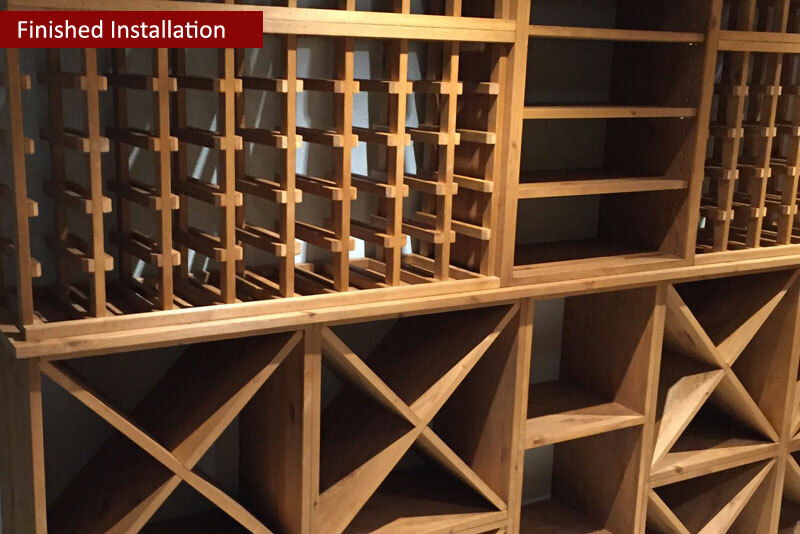 The home owner required a combination of different types of racking, including both standard and magnum bottles as well as storage for up to 16 cases. 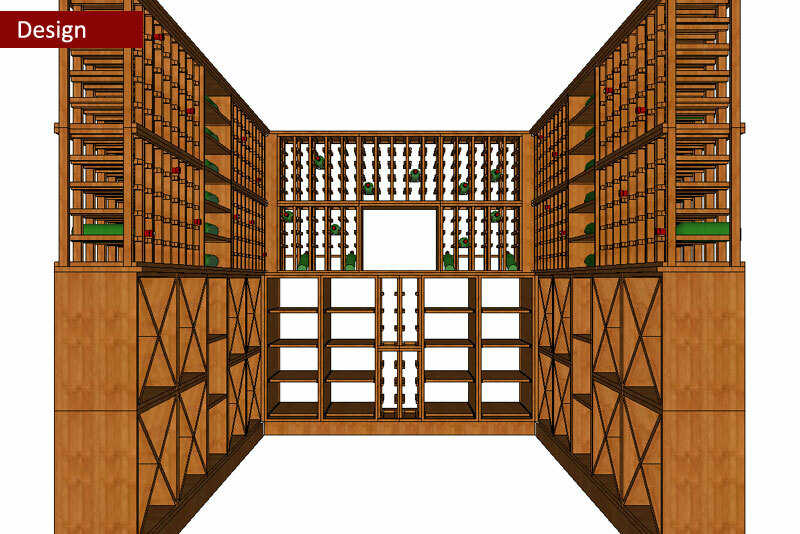 The layout of the room meant is was ideal to fill racking on 3 sides, creating a U shape of wine storage with the stairs entering from one end. 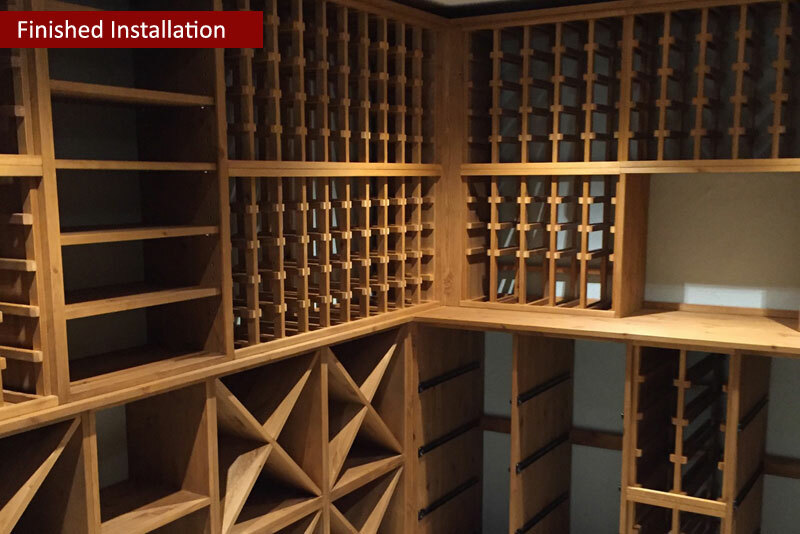 All of the racking provided at this private home in East Sussex was supplied in solid pine with an oak stain, the units were built offsite prior to delivery at the property, saving time and speeding up the installation process within just under 6 hours. 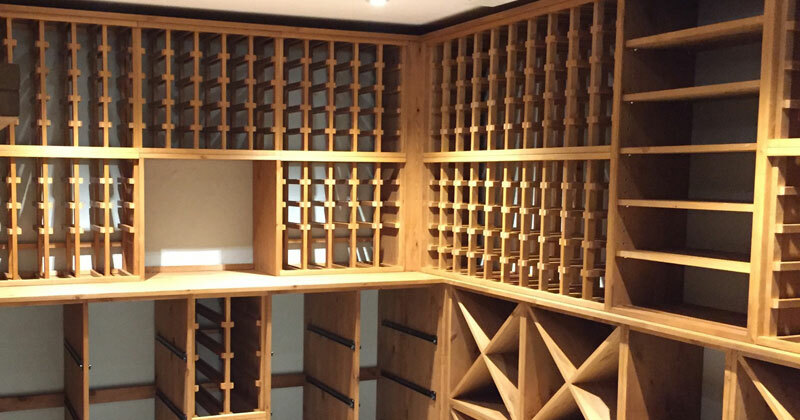 The underground room has now been transformed into a bespoke built wine room and our happy client is now able to store over 1000 bottles! "5 OUT OF 5 - My experience with the Wineware Team, from first site visit to final installation, was in short excellent. 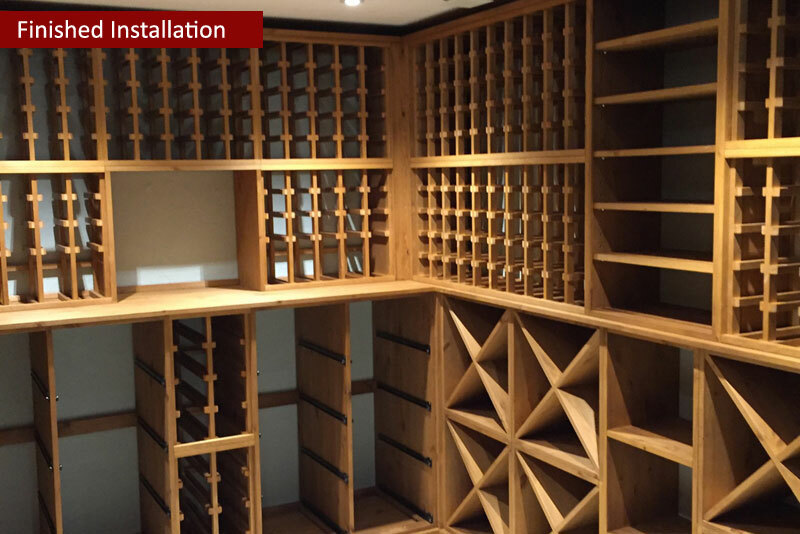 Given their deep understanding of how to store wine collections, they were able to design a bespoke wine cellar solution using a combination of attractive yet functional storage units for a wide range of bottle shapes and sizes. 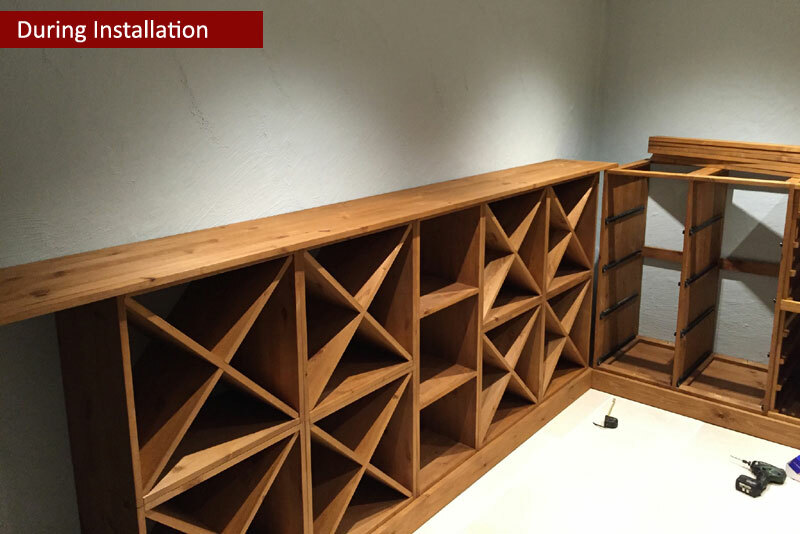 This not only maximised the storage capacity but ensured that visually the system is stunning. My only regret is that the final product is underground and not readily on view from the rest of our living space – something the Wineware Team couldn’t influence! I’d have no hesitation in recommending them for future installations."